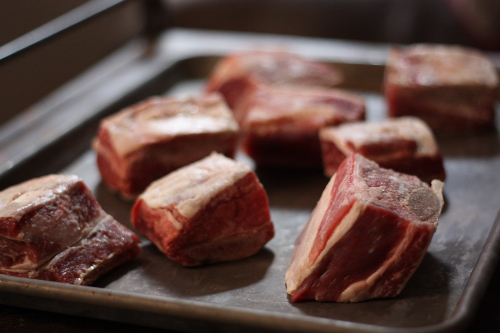 Ah short-ribs, tis' the season right? 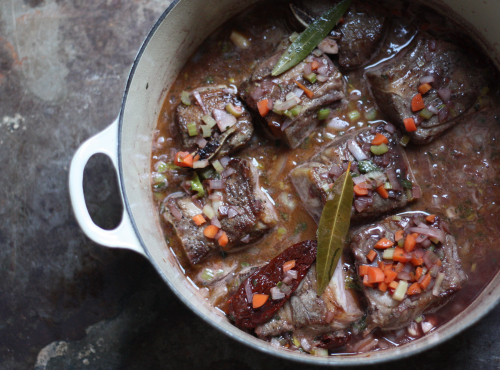 Braising meats slowly in the oven, fork tender and falling of the bone — that is exactly what happens with this recipe. 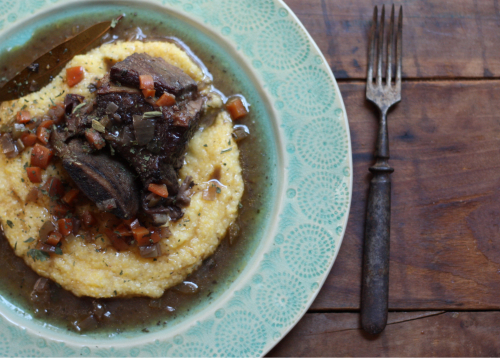 Served over stone ground grits, these savory short ribs make for the perfect Sunday supper! 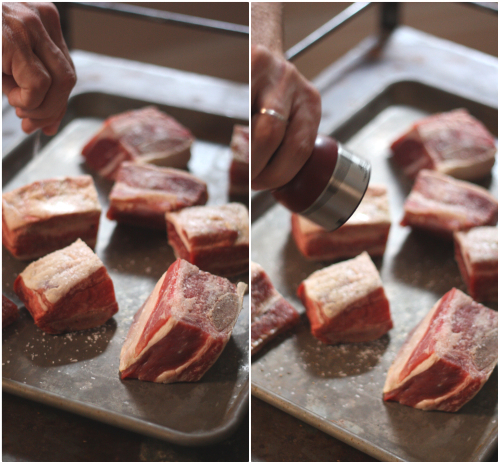 Start by seasoning your ribs generously with salt and pepper. Heat olive oil in a a large oven-proof skillet and preheat your oven to 275 degrees. 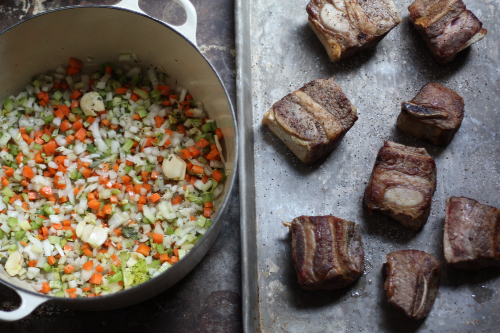 You will want to brown the ribs on all sides slowly on the stovetop. Do this in batches as to not crowd the ribs or have them touch each other in the skillet — I finished mine in two batches. 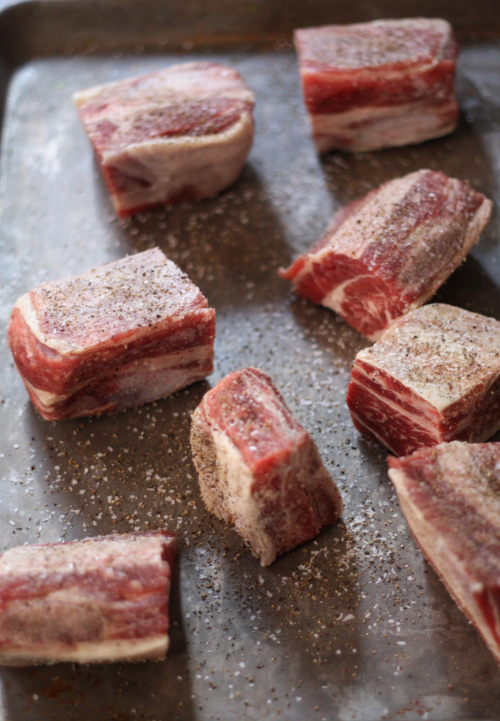 Remove the ribs and set aside on a pan. Reserving 2 tablespoons of drippings from the skillet, add and sauté the onions, carrots, celery and garlic in the same pan until soft. Season with salt and pepper. Add the flour, chipotles, wine and coffee, deglazing the pan. Bring to a light simmer. Place the ribs back in and any accumulated juices with the bay leaves. Stir, cover and place in the oven for 2 1/2 hours. 30 minutes before removing, prepare grits. I add butter and parmesan to my grits — it's just the right thing to do. 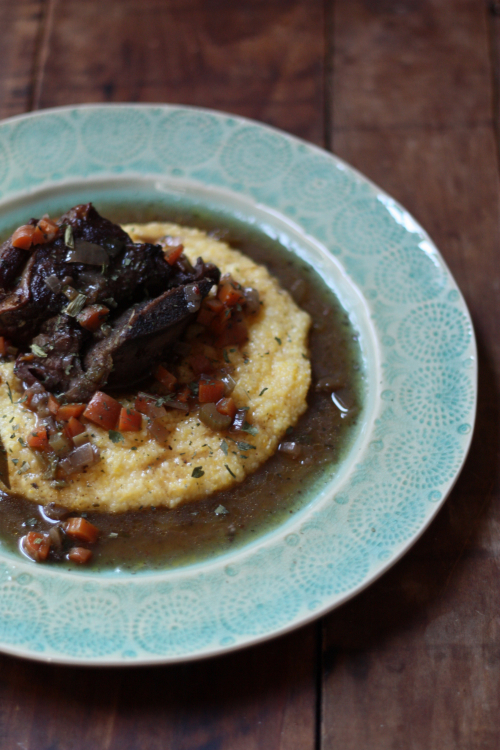 Plate the grits, adding the short ribs, juices and dust with dried celery leaves. A perfect meal to put together and pull out as soon as the guests arrive. Any leftovers? 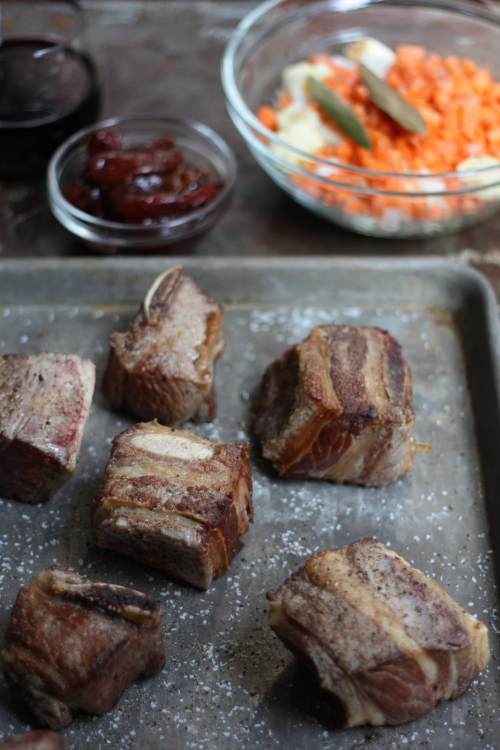 Shred the meat from the bone and serve heated on buns for a beef barbecue lunch!